Queensland Bauxite Limited (ASX:QBL) subsidiary Medical Cannabis Limited is teaming up with Australia’s Algae.Tec Ltd (ASX:AEB) in a project researching cannabis-based veterinary medications. AEB will exclusively license Medical Cannabis Limited’s low-THC cannabis cultivars with view to establishing a breeding program to identify strains suitable for use in developing medications for treating farm stock, other large stock and pets. The agreement will also see experience and technical knowledge shared in an effort to enhance and accelerate research in several fields of animal treatment. The results from the veterinary related research could also provide a springboard for relevant human studies. The arrangement will see Medical Cannabis Limited issued shares in AEB, giving MCL a 19.99% shareholder stake in the company. “This agreement gives AEB a uniquely rare and tangible direct entry point to the under-researched pavilion of veterinary cannabinotherapy production where very few companies in the world have been able to enter within Federal government law,” said MCL’s Technical Director, Andrew Kavasilas. Animal related cannabis medicine research is picking up in Australia. In October we reported CannPal Animal Therapeutics Limited (ASX:CP1) received ethics approval for a large study in dogs involving THC and CBD. 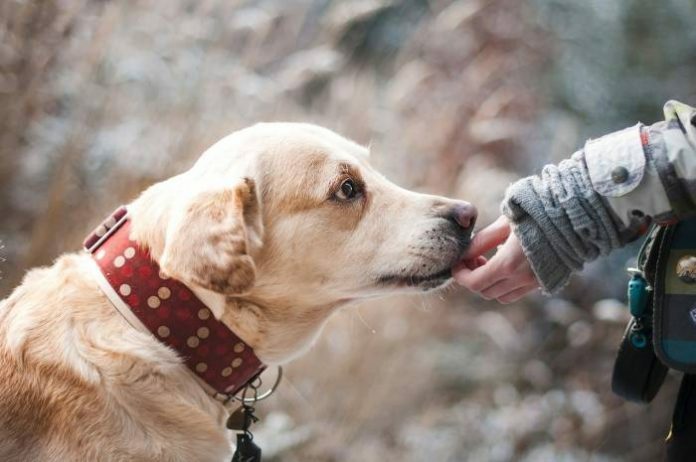 CannPal has developed a medicine called CPAT-01 that the company hopes will be an alternative to Non-Steroidal Anti-Inflammatory (NSAID) drugs; which can have nasty side-effects in dogs. In November, CannPal was granted a licence to import medical cannabis by the Australian Government Department of Health’s Office of Drug Control, meaning the company can now apply to import the compounds for CPAT-01 for clinical trials, which at this stage will commence in the first quarter of next year. Overseas, two trials are being run at Colorado State University’s Veterinary Teaching Hospital, delving into the use of cannabidiol (CBD) for the treatment of osteoarthritis and epilepsy in dogs.